Local favourite Danielle McVeigh will headline next Sunday’s Royal County Down Ladies Scratch Salver as the prestigious 36-hole event heralds the start of the domestic season. 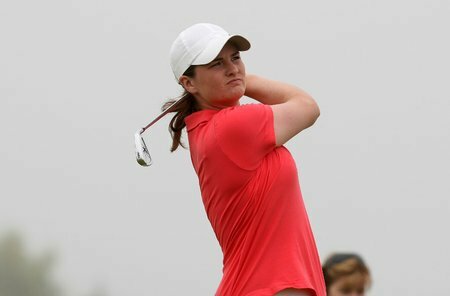 The reigning Ladies British and Wales Open Strokeplay champion, McVeigh wants to get her 2010 season off to a winning start in the Irish Ladies Golf Union (ILGU) ranking event over the famous Newcastle links. “The Royal County Down Ladies Scratch Salver is one of the most prestigious events on the fixture list and I look forward to competing against some of the best players in Ireland around my home course,” said the 22-year-old from Annalong, Co Down. McVeigh, who also finished top of last year’s ILGU order of merit, will face stiff competition from the likes of Sheena McElroy, last year’s senior order of merit winner. The Bridgestone-sponsored event is in its 15th year and is open to the top 50 entrants with a handicap limit of 12 and takes place on Sunday, March 28th. “Despite harsh winter, the championship course is in magnificent condition and the Royal County Down Ladies Scratch Salver provides a great opportunity for Ireland’s top lady golfers to get their competitive golf season underway on the renowned championship links,” said Anita McCaw, competitor and member of the organising committee. Cost of entry is £25 and includes lunch in the ladies clubhouse – where an updated leaderboard will be in operation - before the dinner and prize presentation in the Murlough Room at the Royal County Down clubhouse. Courtesy practice is available from 4pm on Saturday, March 27th or by alternative arrangement through Royal County Down Golf Club. For further details or to confirm your entry please contact the organising committee on 028 437 22235. 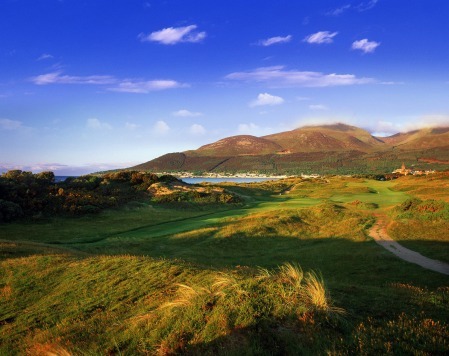 Royal County Down - “Where the mountains of Mourne sweep down to the sea” - plays host to the Palmer Cup this week. There might only be one golfing show in town this week with all eyes on Royal Portrush, but further down the coast Royal County Down will play host to the prestigious Palmer Cup. Danielle McVeigh at Killeen Castle last week. The Royal County Down player has been given a sponsor’s invitation for next week’s ISPS Handa Ladies British Masters at the Buckinghamshire. Picture by Tristan Jones (LET)Danielle McVeigh is playing on the Ladies European Tour Access Tour in Finland this week as she tries to battle her way onto the main tour. But after missing the cut in the Ladies Irish Open she will have another chance to shine on the big stage next week after receiving one of 11 sponsor invitations for the inaugural ISPS Handa Ladies British Masters at the Buckinghamshire Golf Club.